They say the first step to addiction recovery is being honest with yourself and admitting that you have a problem. For the longest time, I was not willing to be honest with myself. I came up with every excuse in the book to justify my obsessive usage of social media. 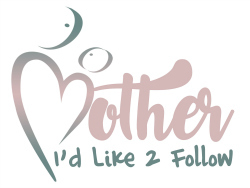 I need it to promote my blog. I’m just checking my Facebook group. I’m only using it to build my brand. While those were all valid reasons for why I used social media, they weren’t ONLY reasons. The truth is, I probably spend 80% of my time scrolling endlessly through my newsfeeds and only 20% actually doing something productive on social media. I came to terms with my addiction one day when I wasted more than half of my sleep hours going back and forth between Facebook, Instagram, Twitter, repeat. The worst part, I had no recollection of what I saw, what I read, what I liked, what I commented on…nothing. I was literally a social media zombie. It was at that moment when I understood I had a problem and I needed to do something about it. In other words, social media was taking over my life and essentially, disturbing my peace. I had to do better. I wanted to do better. 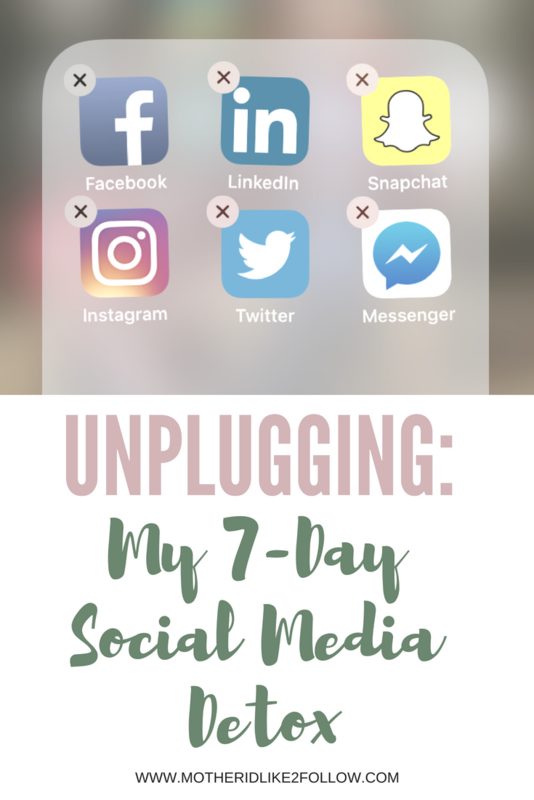 I made a commitment to myself to go on a 7-day social media detox. This meant for a whole week, I would not get on Facebook, Instagram, Twitter, LinkedIn, or Snapchat. I made the decision to not include Pinterest, only because I use Pinterest as more of a search engine (honestly, I use it more than Google). 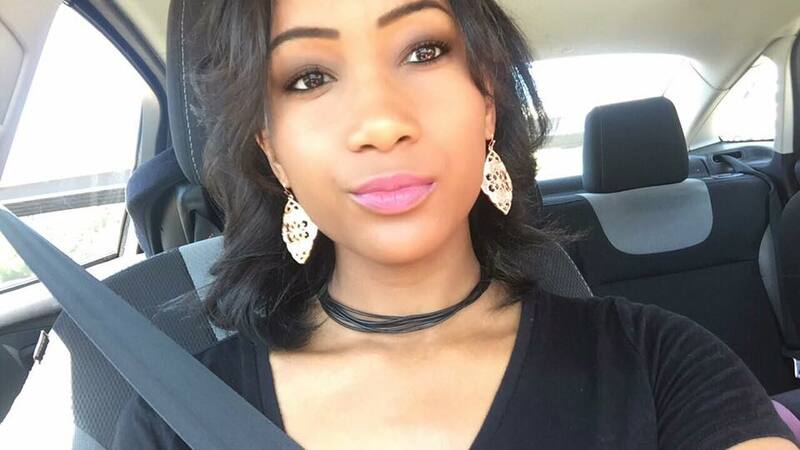 The day I deleted all social media apps from my phone I felt empowered. The fact that I was actually doing this really excited me and I was eager to see my results. Days 1 through 3 was definitely the hardest. Days 4 through 7 things started to get a lot easier. The first couple of days I was literally having withdrawals. It was weird not waking up to notifications and there were multiple times I reached for my phone to get on social media only to remember the apps weren’t there. There were a few occasions where I felt disconnected from my friends. I never realized how much of our conversations are surrounded by something that happened on social media or the funny memes we tag each other in throughout the day. I was a lot more productive at work and during my free time. I was able to get some things done that I had been procrastinating on for quite some time such as writing new blog posts, applying for freelance writing opportunities, and reading. I was able to enjoy each moment without social media distractions. I actually sat down and watched movies with the kids without getting on my phone. Since I detoxed during the fourth of July, I was able to fully enjoy the holiday without feeling the need to post and share on my Instagram story. I shared pictures I took with family and friends BEFORE posting to social media (you know, the ones who really care anyway). After my detox ended, I didn’t immediately get back on social media. I actually waited for a few hours before redownloading any of the apps back to my phone. Before I began, I came up with 4 important questions I wanted to be able to answer after my detox was completed. 1. Was my detox beneficial? ABSOLUTELY!! My detox was 110% beneficial. I gained a lot of things, but to sum it all up, this whole detox was one of the best forms of self-care that I’ve practiced. A lot of times, I tend to think that self-care is enjoying a mani/pedi, getting a massage, or my hair done, etc. What I realized is that self-care does not have to be something tangible or visible. Sometimes, the best self-care is ridding yourself of anything that interrupts your mental, emotional, or physical state. There is nothing more powerful than a woman with the ability to recognize when something is disturbing her peace. And there is nothing more unstoppable than a woman determined to make a conscious effort to eliminate it from her life. 2. How will I prevent myself from going back to my old ways? After my detox, I downloaded all the apps back on my phone with the exception of Twitter and Snapchat. I realized those were two apps that I missed the least and really only use to be nosey and look at other people’s posts. I also have decided not to allow social media notifications to come to my phone that way I don’t feel inclined to check them throughout the day. Additionally, I’ve been trying really hard to set and maintain boundaries on when I check social media. Meaning not scrolling when I first wake up or when I’m going to bed. Honestly though, sometimes I find myself slipping back into the habit. I think the difference is that I am more aware than I was before my detox and as soon as I catch myself, I stop. 3. What lessons did I learn? There is so much life outside of social media. Every moment doesn’t have to be captured or shared. There are other, more genuine ways, to connect with friends & family. Social media wastes SO – MUCH – TIME. 4. Will I do it again?? Yes! I will most certainly do this again. I actually think next time I will do it for two weeks, maybe even more. Although my detox was effective, I feel like 7 days wasn’t long enough for me to get the FULL effect and really break the habit. I can’t lie, I am content with being back online but it was definitely refreshing to check out for a little bit and realign with myself. Don’t get me wrong, I love social media and good things it can bring but everything in life is about moderation. The quote, “Too much of anything isn’t good for anyone,” is completely true. I reccomend everyone takes a break from social media at least once. Whether it’s for one day or three months, I think you’ll be surprised to see what you learn about yourself in the process. Next Post Next Post: The Ultimate Birthday Sleepover with Sleepovers & Co.
Amen to recognizing what’s disturbing your peace and eliminating it from our lives 🙏🏽💪🏽. Good stuff! That must have been so hard! Especially since you need to be active on social for the blog! I’ve heard of some people doing this for 30-days instead of 7-days. Think you could do it? Maybe make it a challenge for us to join in on!